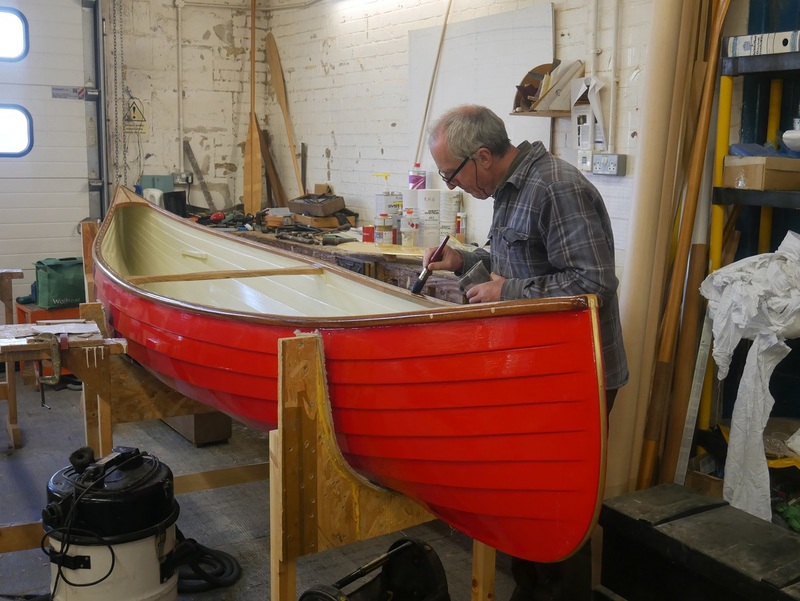 Our experts teach the widest range of hands-on boat building training in the world, specialising in composite, modern and traditional wooden construction, restoration and repair. 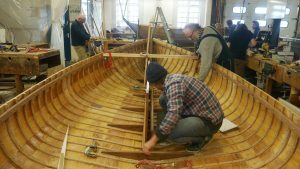 Students on the flagship 40 week course gain practical experience by working on a wider range of construction types than found in most boatyards or on any other boat building course. Our intensive and highly practical courses vary in length from 2 days to 40 weeks. On short courses people may have the opportunity to work on their own boat. All courses run on a minimum 40 hours per week contact time with Instructors. Some students are offered the opportunity to build a boat for themselves as part of the course. The Graduate Case Studies page shows where a representative sample of students go on to work; from HMS Victory to Ice Marine, Spirit Yachts to Stämpfli. One of our graduates was awarded the British Empire Medal for Services to Traditional Clinker Boat Building, another worked on the high-tech boat that brought the Olympic flame and David Beckham up the Thames for the London Olympic Opening ceremony. The Academy also offers woodworking courses, running from 2 days to 12 weeks, that are nothing to do with boats. 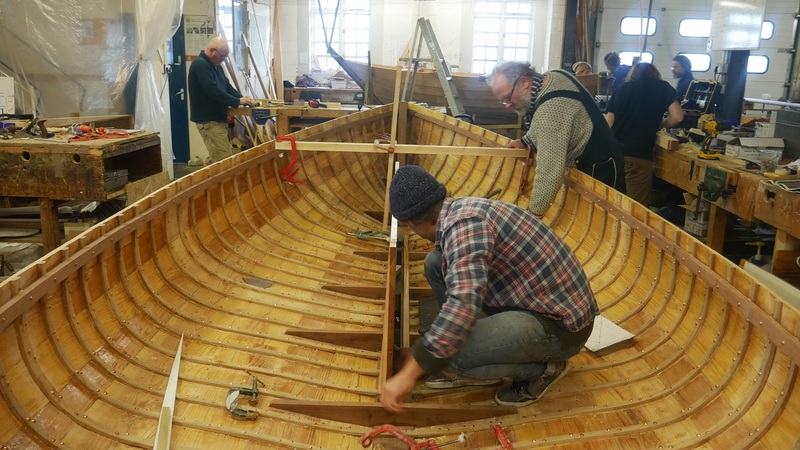 Following our boat building training philosophy, courses are hands-on and intensive. 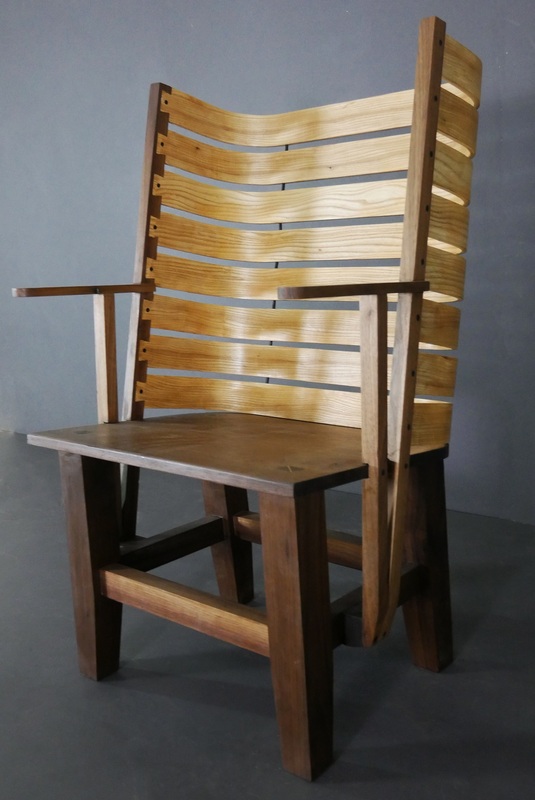 The 12 week course offers people the opportunity to design and make a piece of furniture in addition to gaining City & Guilds and Boat Building Academy certification. All Boat Building Academy courses have been developed by and are exclusive to the Boat Building Academy. The Boat Building Academy is not affiliated with any other college or training establishment. All courses take place at our centre in Lyme Regis. Students come from every profession and from all over the world, ranging in age from 17 to 82. Many go on to work in the marine industries, but our training also appeals to those taking a sabbatical from their ‘real’ lives or simply escaping a desk job and a computer screen. Some are sent by employers (e.g. Conservators from Imperial War Museum Duxford) others, because the skills are transferable, join a course prior to renovating houses or restoring classic cars. All graduates of longer courses join our private Graduates’ Network. Any commercial work that the Academy is offered is passed to graduates via the network, as are job opportunities. The Academy has an excellent relationship with a number of employers who contact us before advertising vacancies. The network also enables people who have been part of the Boat Building Academy community to continue their relationship with the school and other graduates long after their training has ended. Based on Monmouth beach in Lyme Regis, Dorset, the Academy lies at the heart of the Jurassic Coast, a UNESCO World Heritage Site. There is living accommodation for twelve students on-site, but if people prefer to live off-site we can help find appropriate accommodation through our extensive, friendly network in the town. Please don’t hesitate to contact us should you wish to talk about any aspect of our training. All photographs on this website show work produced by students as part of their training.